If cats had opposable thumbs and a checking account, this is what they'd buy for themselves! 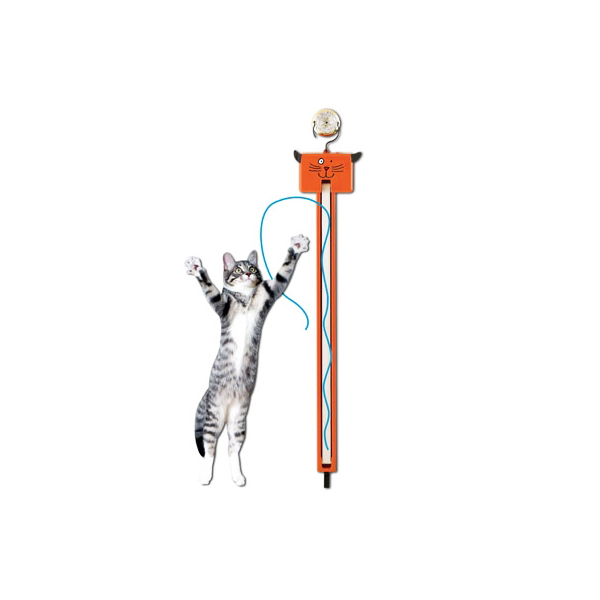 The Fling-Ama-Sring Cat Toy is a high-energy toy that will provide hours of non-stop entertainment for both humans and cats! A long string rotates constantly on a conveyor belt through the unit. 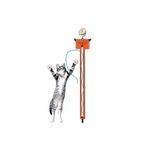 The string flings in and out of the ends to keep your kitty engaged and amused. This toy has two speeds for the extra-ambitious feline! Batteries not included. Watch the "Product Closeup" video featured above to see the toy in action!